Welcome to the island. Joe Rathburn’s ISLAND. It’s a land of sunshine, harmony, rhythm, palm trees, sea breeze, and melodies, good friends, and good times. 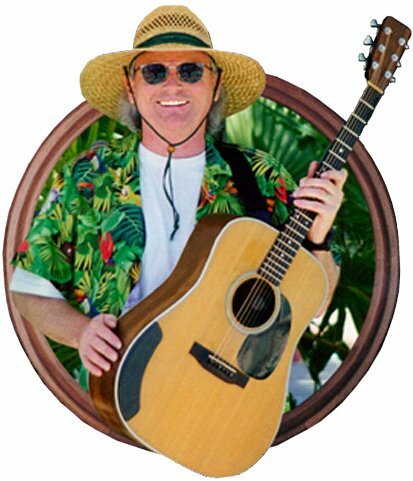 The sound of Joe Rathburn’s ISLAND is a unique blend of high energy Caribbean music, and the laid back styles typified by Jimmy Buffett and Bob Marley. Favorites wherever they perform, Joe Rathburn’s ISLAND will be sure to whisk you to a place far away, like taking you on an aural tropical vacation. Kokonut Joe, the alter ego of San Diego based singer/songwriter Joe Rathburn, has performed in Key West for the annual “Meeting of the Minds” Parrot Head convention. “Parrot Heads” are to Jimmy Buffett, what Dead Heads were to the Grateful Dead. The twist here however is that Rathburn was not asked to come and play Buffett covers as one would expect, but to perform his own songs from his two Betterworld Records CDs, 1997’s Little Suns, and 2001’s Rockwells and Picassos. Joe and his highly talented ensemble of San Diego area musicians specialize in festivals, community concerts, and corporate events. The steel drum, or “the pan” as it’s known throughout the Caribbean, is at the forefront of their sound, which includes styles such as reggae, calypso, soca, and ska. Joe’s renditions of Harry Belafonte chestnuts such as Day-O (The Banana Boat Song), Jump in the Line/Shake Senora, and Jamaica Farewell, as well as many Buffett and Marley tunes, are surefire crowd pleasers. His own compositions have garnered him international recognition for their uplifting, and socially beneficial messages. Kokonut Joe is also proud to point out that their presentation is clean and family friendly, and geared to music fans of all ages. Copyright © 2012 Joe Rathburn - All rights reserved. to hear the "solo Joe"
Summer is almost here and that means Padres at Petco Park! You can see Kokonut Joe before almost every Padres game at the Tin Fish restaurant by Petco Park. Stop by for some great food, fun and people watching, at this great Downtown location.